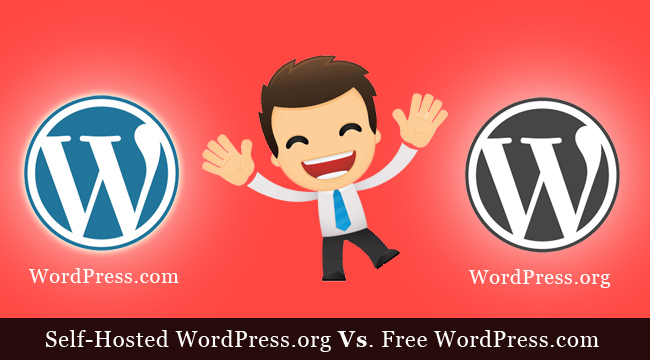 What’s the difference between self-hosted WordPress.org vs. free WordPress.com? It’s a question that almost all newcomers to blogging ask when they come across the alternative versions. For many newbies, even the terms ‘self-hosted’ and ‘free’ require some explanation. We shall ignore that for now, for the respective hosting options will become apparent very shortly. Fundamentally, you can set up and run a blog from the .com site without needing a website. That’s why it is described as free. Those running the .org version need their own website as a platform, and this type of web hosting does not come free. The WordPress software is still free, whether self-hosted or not. It doesn’t matter what version of WordPress you use, it must have a domain name and must be hosted on the World Wide Web for it to appear on the internet. Both versions of WordPress are exactly the same in this respect. Each is hosted, though in different ways. The main difference between the two options is that one (.com) is hosted as a subdomain on the WordPress website, while the other (.org) is hosted on your own website. The software is fundamentally the same, and their differences are connected with the customization that is possible when you host the blog on your own web space. What does that mean to you? Well, first of all, WordPress offers its own hosting free of charge. You have no need to pay for a domain name because you have no domain. Your blog will be published with a URL such as yoursitename.WordPress.com – the WordPress name will come after your site name. That is because it is a subdomain on the WordPress web space. A subdomain is a folder on the site that holds your WordPress files. With the free service, this folder is located on the WordPress server. Whenever you use WordPress, the files are retrieved from the WordPress server. When you run the blog from your own site, your files are stored on a directory on your own web space that you pay for with your web hosting service. So – the first free, the other not free! If you don’t like the way your free URL looks, you can improve it by paying for a domain name. WordPress.com will then enable you to use that as the domain name without its own name appearing. It will no longer be free however, because you are paying for the domain name. WordPress.com offers other paid options but it is the ‘Free’ version we are discussing here, not these upgrades that bring it closer to the self-hosted .org version. Along with Google’s Blogger, the free version of WordPress is very popular with hobby bloggers who do not use their blogs to make money – and here is the first major difference. Self-hosting is essential for professional bloggers and those others who have a wish to use their blogs to make money. That understood, here are the pros and cons of the two different forms of WordPress – free and self-hosted. SEE ALSO: WordPress Vs. Blogger. As hinted at earlier, if you are new to blogging you can start right away by setting up a WordPress.com account. You can select one of the themes available, and then start blogging immediately. The cost to you is nothing for your first 3GB of storage space. However, space does not come completely free, and if you need more space than this then you pay for extra. Another benefit of the free WordPress service is that you get free backups of your blog and its files. A major negative is that you do not own your blog site. This is made very clear to you with the free adverts that WordPress places on your site. You must pay $29.97/annum to have these removed. Additionally, you may not place your own adverts on your site if you are getting less than 25,000 people viewing your page each month – and even then you must share your advertising revenue equally with WordPress! These are the principal reasons why we state that the free service is only for amateur hobby bloggers. Not only that, but you cannot use your own custom themes, plugins or your own analytical software. Even if you purchase their ‘design upgrade’ you have very little control over the look and feel of your blog. Because you have no access to any of the coding, you cannot remove the ‘powered by WordPress’ text, and have no access whatsoever to your CSS or HTML. 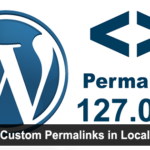 WordPress.org is the version you can install on your website from cPanel. You can also install WordPress from the .org site, although if you have cPanel why bother. With this free self-hosted WordPress version you have full control of your blog. It must be self-hosted which means you pay for your own domain name and for your web hosting service. You can modify the HTML and CSS coding in any way you want – there are no restrictions. You can install whatever plugins and widgets you want. You can use any theme of your choosing, and modify them to meet your needs. SEO plugins enable you to optimize your blog for the best possible Google rankings. You can use any analytical and tracking software of your choice. There are no restrictions on how you use your blog – including advertising on your site. You can have unlimited email addresses and set up your own list-building forms and databases. Your site belongs to you – nobody else, and WordPress cannot place any restrictions upon you. There are very few negatives to using self-hosted WordPress. They fundamentally center round you having to take care of certain functions for yourself which are done for you with the free WordPress version. Among these are updates and backups, although there are plugins available that will look after that for you. The same is true of spam: the free version may help but there are excellent anti-spam plugins available. The same is true of pinging your posts to your favorite social networking and bookmarking sites. The self-hosted version of WordPress is the only realistic choice for professional bloggers. If you are blogging for fun or about your hobby or family, then the free WordPress option will work well for you. You will have nothing to pay, and your blog will look great. However, if you intend making a living from your blog, or even just supplementing your regular income, then the self-hosted Wordpess.org is preferred to the free WordPress.com every time. I sincerely admire of this post, blogging is a truly profitable business most of the new bloggers start free services which are worst and a waste of time, we can’t make money or does not look like a professional blog. My experience with free web hosting after 3 days of creating the blog , they suspended my account. The reason is, I used some custom coding. Thanks for sharing your knowledge. Good article, so useful for me.